What is the biggest advantage of coming to D&R Truck-Stor for truck bed drawers? That we make custom drawers, suit your needs and the finish of our products and installation is just quality. But mostly the custom bit. We design, build and install all in-house which means you get exactly the truck bed drawers you want. And just as well too, truck bed drawers have seen a recent explosion in uptake. Rather than haul an empty bed or one with simple cover, people have realized the utility and bespoke feel truck bed drawers can lend your pickup truck. Let’s take a look at a few ways in which truck bed drawers have captured the imagination of ordinary truck buyers. Far from just business owners, enforcement units and contractors, truck bed drawers have gained a great deal of favor with the average truck buyer. 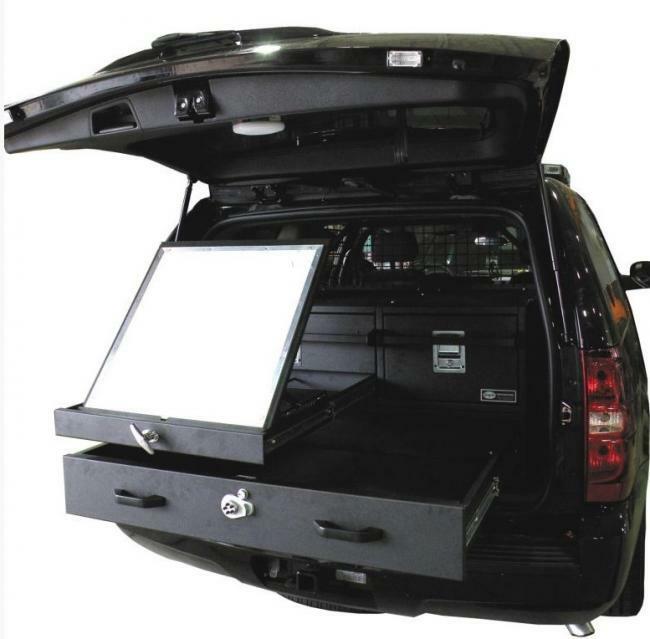 Truck bed drawers have been increasingly demanded for storing sports, fishing and golfing equipment. First, and foremost, the system keeps your equipment dry; it keeps items from rolling around; and, finally, with custom-shaped and custom-sized trunks and compartments, you can get your ideal setup! Cyclists, kayakers and other outdoorsy pursuits have become a lot more convenient with the advent of truck bed drawers. Camping and nature enthusiasts have loved to get custom truck bed drawers for their pickup trucks. Extremely versatile storage meets durable build quality. However, the recent trend has been to incorporate tents or shelter on the truck bed drawers themselves. Essentially a collapsible kit, this can serve as useful additional sleeping accommodation, or if you’re not in the mood for it, replace your tent altogether. Truck bed drawers have been long highly regarded by gun owners and those taking their pickup trucks for hunting trips. Lockable and secured truck bed drawers provide safe storage for your guns; and the various lining options ensure your equipment does not slide around. Moreover, and again, custom-shaped spaces with organizers make storing ammunition a cinch. Also, space for any game can be incorporated, as separate from other drawers. Taking your pooch along is now easier than ever – and more comfortable for man- or woman’s best friend. Truck bed drawers can be configured to have open kennels or pet enclosures so they can enjoy that wind in their face (and everywhere else). Or the owner can choose to opt for a full-fledged pet transportation system. These use easy to clean mats and linings; fans to keep your pet cool; plenty of space; and multiple points of entry to make getting in and out that much easier.